and LED ready aluminum fencing system. 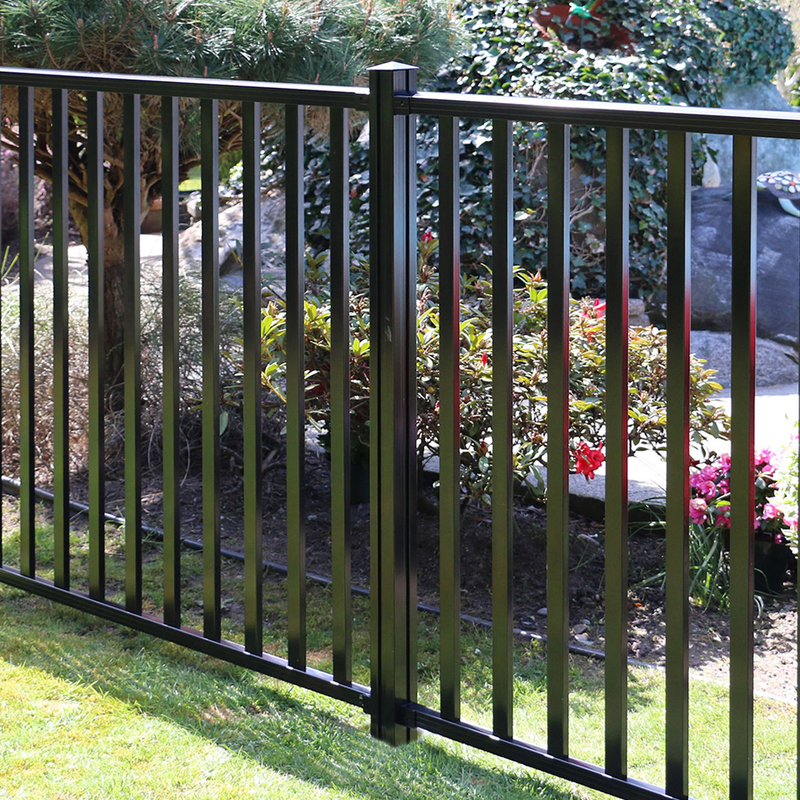 Aquatine™PLUS is a sophisticated component-based fencing system that allows for versatility and durability in its appearance and application. 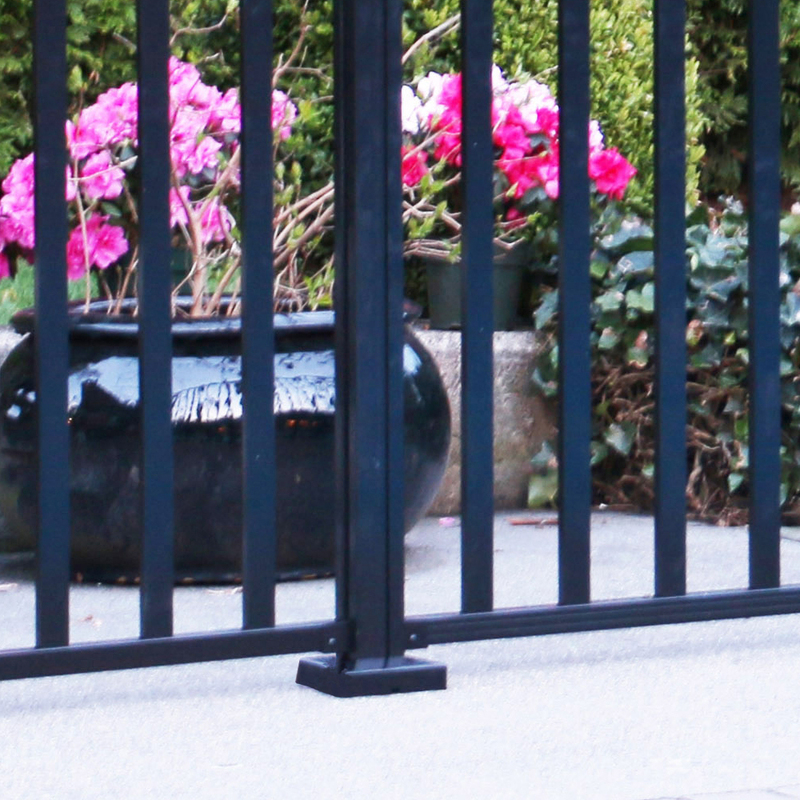 Choose between pickets or glass panels, add a gate, and easily install on hard or soft surfaces. Keep any outdoor area of your home well protected and looking sharp! 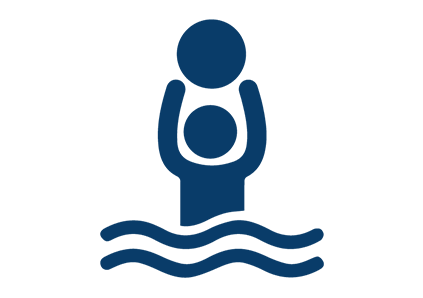 You don’t have to compromise with Aquatine™PLUS. Install on hard surfaces such as concrete and soft surfaces such as grass. 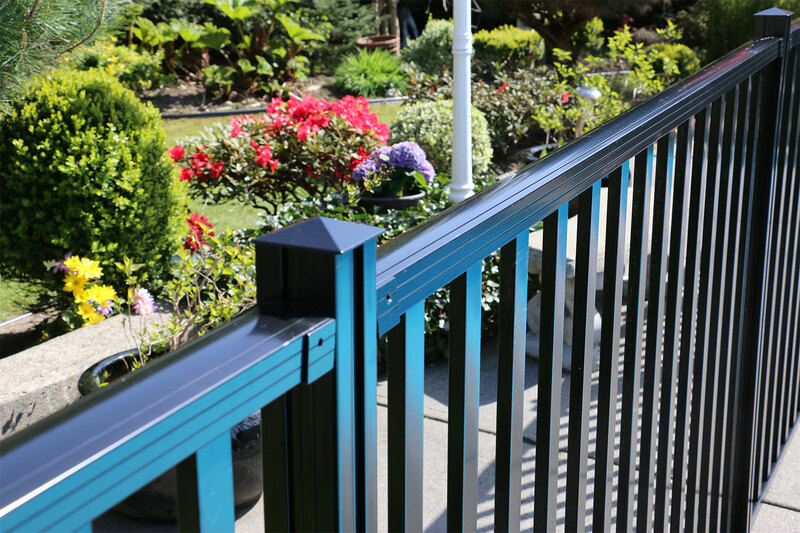 Aquatine™PLUS is made from powder-coated aluminum for long-lasting, low maintenance durability. 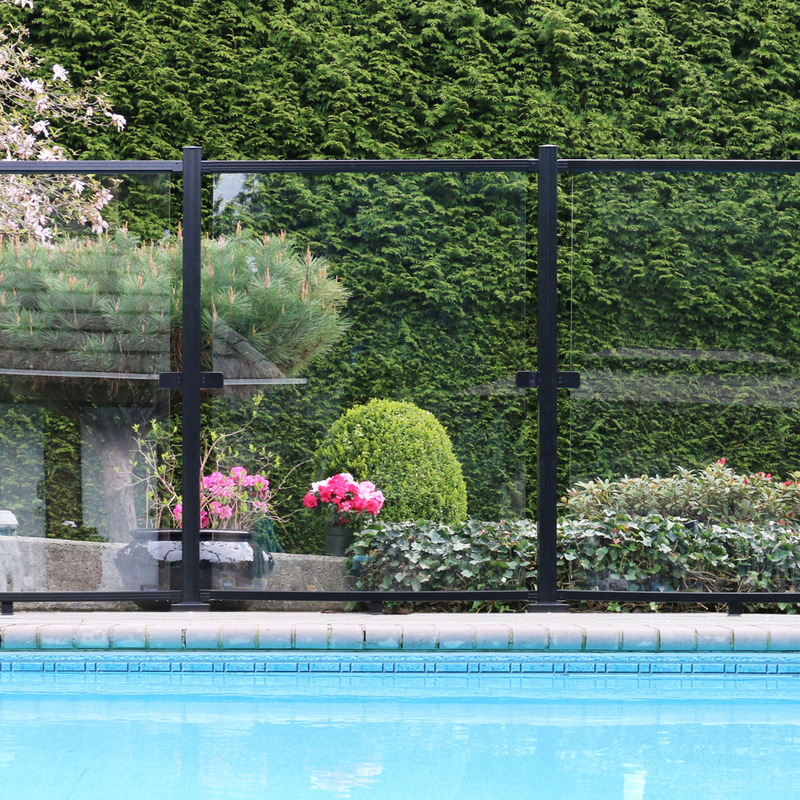 Unlike wood or steel fencing, AquatineTMPLUS will not rust, rot, warp or decay. 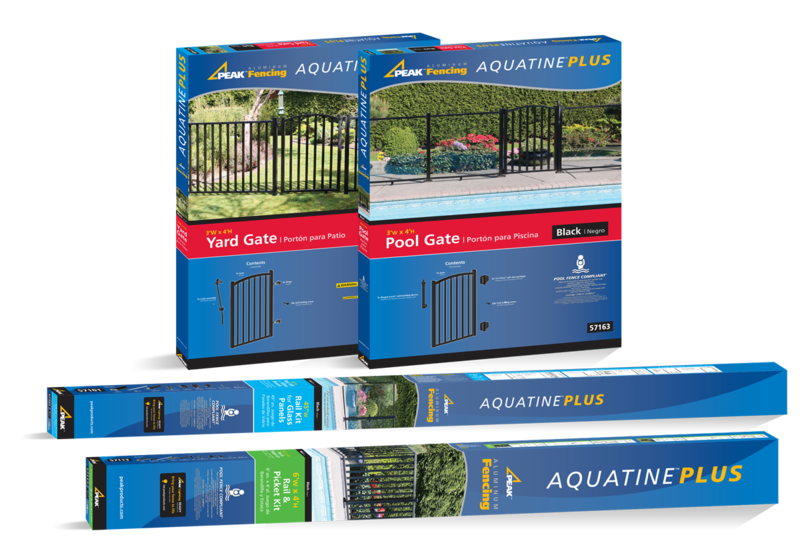 Compared with its competitors, Aquatine™PLUS offers a simple, do-it-yourself approach to fencing. Plan, select your components and install like an expert! 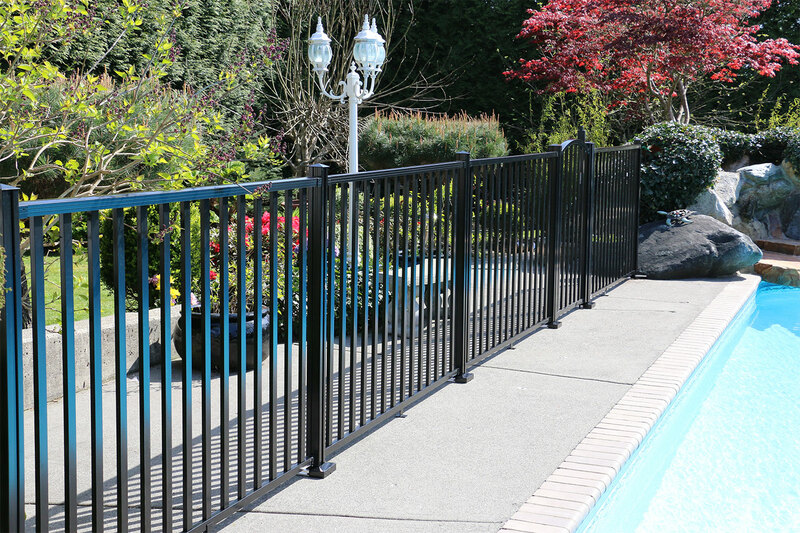 The versatile Aquatine™PLUS aluminum fencing system gives you the freedom to decide what you want for your fence design. Choose between picket panels or glass panels for stylish and unique looks that fit your personal style. Aquatine™PLUS comes with built-in channels for our wifi-enabled LED Lighting System. Simply install the LED Starter Kit to light up your fencing system, using our Peak Lighting app to enhance your outdoor space! 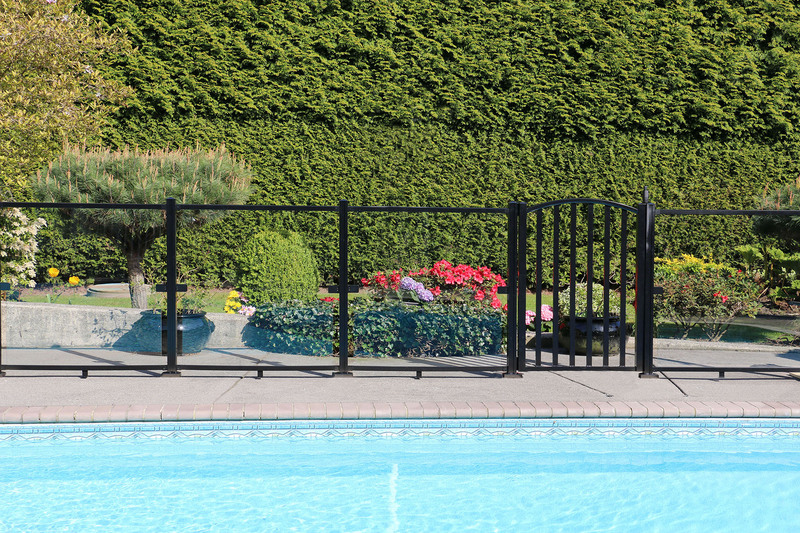 The Aquatine™PLUS aluminum fencing system is proud to offer you a 20 year limited warranty, so your fence continues to work the way a premium, high-quality fence should work! *Complies with 2015 International Swimming Pool and Spa Code. Conditions apply (for details visit the compliance page). Complete system required including Pool Gate (do not use Yard Gate). Building codes may vary. Always understand and comply with your local building codes. 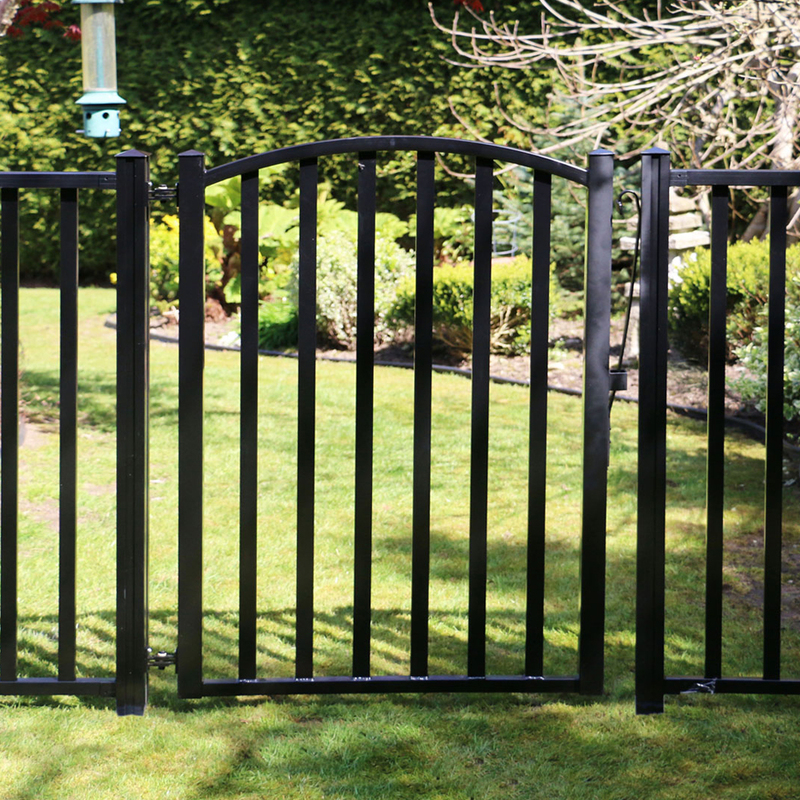 Select your Posts, Picket Panels, Glass Panels, Gates and Brackets.